Well, somebody has to do the math! Philip Wollen tells it like it is. 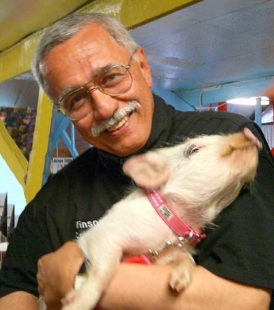 In this short but to the point interview, former Citbank Exec Philip Wollen goes through the facts and the figures with an irrefuatble argument which leaves only one option: to be vegan. He made the switch a while ago, and with numbers on hand, he tells you exactly why. Thanks to Afterbuzz TV for letting me capture this interview from the red carpet of the Last Chance for Animals gala.